​​Difficulty 80 is linked with difficulties 69, 71 and 72 which explain way of palpation of arrival of qi. NanJIng do not have explanation regarding palpation of exhaustion of qi in the point. It actually is not mentioned that practitioner with his left hand should palpate qi exhaustion. 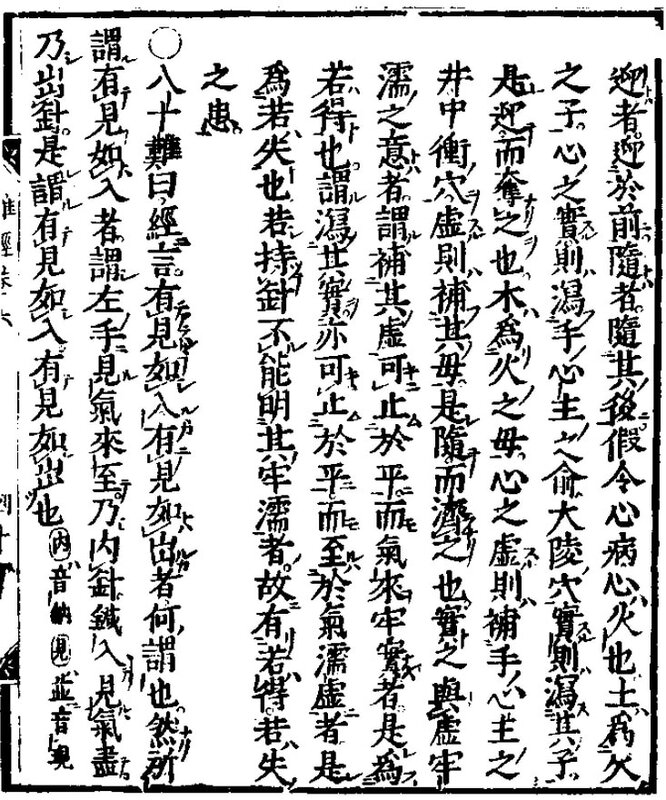 Meanwhile difficulty 1 of Nanjing explains how long qi as Rong or Wei qi stays in the point. Rong and Wei change of circulation is shown in the pulse, so practitioner of archaic acupuncture removes needle when Rong is exhausted in particular area and insert needle into wei and vice versa as indicated by pulse.